A martial artist should be able to function properly in any environment. Not only should they be able to fight inside a gym, but they should also be able to fight outside in various kinds of weather and on various surfaces. To be truly strong and fit and functional the human body needs to be able to experience all kinds of temperature and weather. Balance is also gained by training on various kinds of surfaces from the dojang mat, wood floor, tiles, cement, asphalt, dirt, grass, ground with tree roots sticking out, gravel, boulders, sand, and whatever else a person might walk across. Training outside is under-emphasized by so many dojangs. So many people want to join a comfortable gym. I think it is important to have a clean space with professional equipment around, but it is not necessary for training and Taekwondo practice in itself. 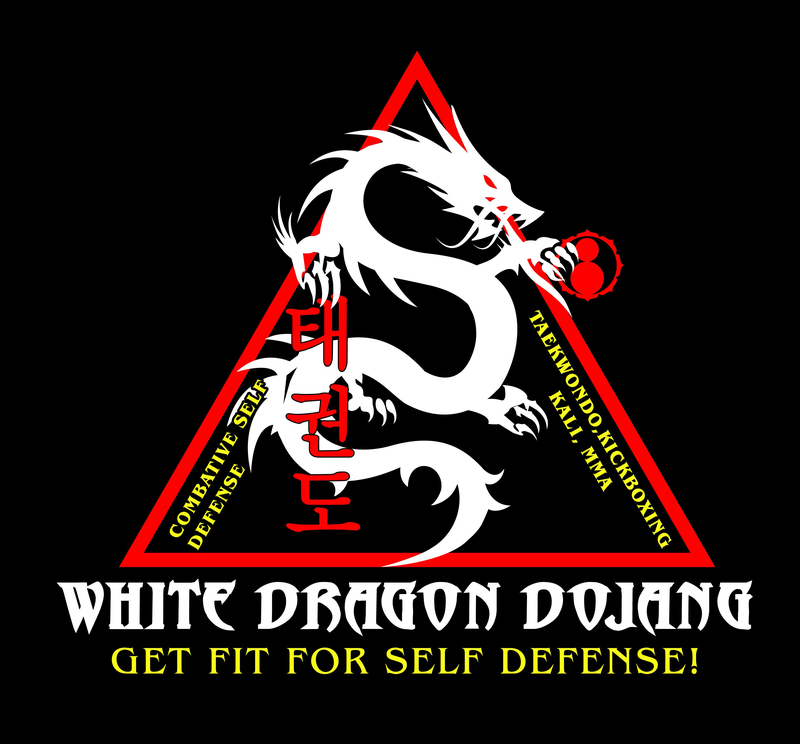 One can train in Taekwondo and get good without that, but it is obviously better to train at a dojang as a main place to train. There are good things about being able to train in a place that you know is safe because of a soft floor, a bathroom near you, and water available, etc. And having air conditioning has its benefits, but only relying on a gym atmosphere will not prepare you for a fight outside. Most fights or attacks are going to happen outside of your gym and you should be prepared for it, and your physical fitness should be able to handle whatever the environment will lay on you whether it be extreme humidity, or ice cold streets. A martial artist should always take time to face the elements. Training outside feels amazing with the fresh air and the sounds of nature. Not all of us have exotic locations or secret mountain monasteries to train at. We do not all live in Asia with Korean gardens, or at some ancient temple ruins. It would be awesome to train in such locations, but how many people do you know that live near such things? If you lived near areas like that would you even be allowed access to train there? You can have an exhilarating and enlightening experience simply by training in your backyard, or a parking lot for that matter. Many people imagine ancient Buddhist monks, or cool black belt guys doing awesome poomsae on a cliff or near a waterfall and hitting trees with extreme power. But that is what silly nerds day dream about who never got over their childhood fantasies of being a ninja or Shaolin monk because of too many movies. I watch a ton of movies with Shaolin monks and ninjas, but I don’t live in a fantasy world like those kinds of dorks. One of the coolest scenes from a movie though, is the scene showing the Korean team in the movie “Best of the Best.” All of their training was done outside and even in the snow. That was inspiring. Such things can motivate you to train outside, but you should do so with realistic intent. You don’t have to have dramatic landscapes to train well, and when you do go outside to train literally make sure you train and are not instead daydreaming to be a mystical mountain warrior and LARPing. It is a wonderful thing to train outside in nature and hear the sounds of the birds, the wind in the trees, and sometimes cars riving by…well the cars driving by is kind of unavoidable for me, but I don’t let it stop me. But more often the sounds of the birds and wind and possibly distant water from a nearby creek is what I hear. I feel the wind blow through my hair, and on my body. One of the best feelings is when the cool wind blows through the V-neck of your dobok. I train in my dobok outside once in awhile, but since much of my work is extreme and in very harsh weather I usually wear typical workout clothes like gym shorts, a t-shirt or tank top, and in cold weather sweats and a hoodie. I use shoes on rough surfaces but sometimes am able to take my shoes off if training on grass. Training with both shoes and barefoot is important. There is a different feeling when kicking with shoes on which is what you will encounter in a self defense situation most often, than barefoot. Being able to kick in shorts, or a different kind of pants is important. You should not only be good at moving when wearing a dobok, but also regular clothes as well. For me, in Alabama I have spent hours and hours for years training in my apartment complex parking lot. Since moving to another city I have the opportunity to train on grass or in the woods. I also train on cement. Most of my workouts are done in the extremely hot Alabama sun and absolutely intense humidity. I live in a sub-tropical climate. Growing up I lived in Oregon where there was virtually no humidity and the air was so light and fresh. In Alabama you sweat right when you walk outside. But we have cold weather in the winter. I do have to mention that for about 4 years I lived in Kentucky where the humidity was pretty harsh and the sun very hot, and the winter was extremely harsh. In Kentucky I had a backyard with pretty much dead grass I used to train in and spar a buddy I knew who did Karate. Often times I did poomsae and shadow boxed. We had some cement and I would go barefoot on it. We also had an old deck that I did not enjoy training on because of slivers and nails sticking up out of it. Sometimes I wore shoes, especially in the winter. I would do poomsae in the snow and even train in the dark around 6am and run around the yard. Experiencing various weather is tough. I learned not to pretend I was in the movie “Fighter in the Wind” (which just came out on DVD in the USA at that time) and not rely on my martial arts uniform for functional clothing. I began to wear a hoodie, ski mask, gloves, and shoes because I was training on snow and ice. It is insane to only wear a uniform in such cold, and Taekwondo uniforms are made so thin usually. Later I moved to California and the air was light, but the summers could get hot. I trained often luckily on a soccer field with a track going around it. It was made with a grainy astroturf that was so soft you could either wear shoes or be barefoot. During my life in Oregon, Kentucky, and California I also trained inside of gyms and at actual dojangs. Now in Alabama it barely snows but in the winter it gets very cold so I train in a hoodie, sweat pants, and wear shoes. I also wear gloves. I don’t let the weather stop me from working out. I even train in the rain once in awhile and that can be fun, but slippery so be careful. With the weather so hot I can take my shirt off and wear MMA shorts in the rain. It feels amazing like a warm shower or being at a water park under that mushroom thing. It is important to do intense workouts in all kinds of weather and on various surfaces. A martial artist should train like a fighter, not a ballet dancer. One should not only do poomsae and basic motions, but also shadow box, practice kick combos, jump rope, hit pads with a buddy, spar, do push ups, jumping jacks, jogging, box jumps (or bench jumps or whatever you can find to jump up on), burpees, horse stances for a long time, lunges, squats, holding weights, ladder drills, and more. Buying a round timer is good for this. Training like this will challenge your cardio and your mental toughness. How often do you need to take a break or get water? Test yourself. Now let’s talk about the different kinds of weather and temperature one can encounter when training. Have you ever trained in a gym really hard and got extremely sweaty but the gym environment was cool with nice air conditioning so it was not so bad? I think we all have. Now, have you ever walked outside into the parking lot on a hot summer day and felt overwhelmed by the heat? Mix this in with humidity and it is even worse. How long do you think you can last working in such hot weather? Could you do well in a fight? Does the sweat dripping all over your body bother you? Here in Alabama the weather is extremely hot and extremely humid. It is a hot and sweaty environment. Every day activity makes you sweat. You can take a walk outside and quickly within a minute be sweating. To think that most fights are going to happen in this kind of weather here should encourage a person to workout outside. I often train outside almost every day. If it is sunny outside I work out in the sun. I of course have to take small breaks in the shade, but working out and seeing how long you can last under the sun makes you stronger. I can easily go into an air conditioned gym and last a long time because my training in this humid and hot weather gives me extra power. I endure the painful weather and do all my of poomsae outside, jump rope, push ups, shadow box for 30 minutes, practice various kicks and more. Every day I do different stuff depending on how I feel my body can handle that day. I do not suffer heat stroke or heat sickness because I am smart how I train. You should wear proper clothes and have enough food and water before training. When training in hot weather with intense sun, or in extreme humidity one must make sure to take breaks in the shade. Do a few rounds then during breaks stand in the shade. Sometimes you can workout a lot in the shade, and workout less under the sun. Staying in the shade is still very warm in Alabama. Make sure to wear proper amounts of sunscreen as well. But do not over do it. Being out in the sun as healthy because sun light gives us vitimin D. Getting a tan makes your skin stronger, but do not ignore burning. Do not go out without sunscreen for 45 minutes shirtless. If you do not wear sunscreen just go back and fourth into the shade during the training session. Over time your skin will get used to the sun and not burn as fast because you will get tan. But sunscreen is of course recommended for the really long session you plan to do. Cold weather can be anything from a grey cloudy day in the Fall or a freezing cold winter day with or without snow. In cold weather you should wear a hooded sweater, sweat pants or warm up pants that will keep you from freezing. The more you move the hotter your body will get and you will not feel as cold. With certain kinds of sweaters you could very well heat up a lot and feel too hot to train. So make sure your outfit is going to keep you just right. If it is not arctic weather do not dress for it, dress for a less intense cold. Training on snow and ice is tough because you can slip and slide. I do not recommend trying to be badass and wearing your dobok with no shoes. That is stupid and counter productive to training. It is not going to make your feet stronger or make you a better fighter if you get frost bite. If you want to be silly and go out for 5 minutes with no shoes on, okay sure, do it, it could help you with mental power to overcome pain. Mas Oyama and others have been known to meditate underneath ice col waterfalls, but who knows for how long they did. It does make for a nice photo opportunity to look very stoic and spiritual. I would say going underneath a water fall for a few minutes helps your pain tolerance and mental strength but don’t be stupid and get hypothermia. Realistically though, most people live in a town or neighborhood and we are not going to be near a waterfall or on some nice mountain. I basically have spend years training in a parking lot. Now I train on grass and also a walkway made of cement. When icy weather comes you can slip and slide and doing certain stances are dangerous because you could slip out or twist a knee easier. So be very careful. If you wear snow boots it helps with traction but then throwing kicks is very hard. Heavy weighted shoes and thicker pants are going to make you kick way slower, but that is okay. Just do what you can. The cold weather is going to make you feel somewhat bad, but once you warm up you will feel good. Your body will start off being stiff, especially if you have old injuries in the joints like me. But once you warm up slowly and do some stretches and jump around and shadow box some you will feel a lot better and looser. You will move better. The cold air will fill your lungs and if you are not used to being outside in cold weather you will have a shock of pain inside you. Dealing with this and making cold weather air a normal thing to breathe will make your lungs stronger and make your cardio better. Over time, over weeks or months you will get used to it and not care. It won’t even hurt. In the hot summer humidity it is another kind of pain ad fatigue, but the freezing air is more painful in my opinion. It will make your nose run as well. Rain is going to make you wet and soak up your clothes unless it is warm weather and a summer rain storm. Then you can wear a tank top or no shirt and just shorts and it feels great. Rain water is also slippery but not as much as ice or snow on the ground. If it is freezing rain you will feel really bad and should not spend too long in it since it will soak your clothes and you could get hypothermia or sick from the cold. Contrary to the myth, col weather does not make you catch a cold. That is an ignorant belief an an old wives tale. Cold weather has no effect for germs or disease. It is impossible to catch a cold in the rain, or cold weather. The only sickness you could get it temperature related as in hypothermia. You only get a cold if you are around someone with a virus or the germs that cause colds. It is unlikely you will have this happen to you if you are using common sense. And you probably won’t get hypothermia either. You will encounter all kinds of ground surfaces when training outside if you go to many places. Grass is the best surface because it is usually soft and has traction. You can train barefoot most of the time. Often though, you may only be able to train on cement or on dirt. Cement and asphalt is not good to train on with bare feet. Oh, maybe you are one of those hippy children who’s parents encourage you to walk around like a weirdo without shoes on all day, but it is pretty stupid to do so when the ground can be so filthy, and if you cut your foot you could get infection. Parking lots are full of filth: oil, dirt, trash, spit etc. Try and wear light shoes. Martial arts shoes are the best, but try and find a lighter shoe, not a basketball shoe. The problem with cement or asphalt is that it tears up your shoes fast when you shadow box. The pivoting and twisting motions from kicks and stances can tear up the sole of the shoe fast. If you are rich you can just buy a lot of shoes, but poor people like me cannot afford to buy shoes every month. But I still use the same shoes over and over until they nearly disintegrate. If you have a clean driveway or patio you could be barefoot on it, but it will be rough on your skin. After you train your feet will feel sore from the friction scraping your heels, balls of feet and toes. It will happen. But it is okay to do this because you will get used to the pain. Make sure after training you wash your feet or take a shower right away. You don’t want to have filthy feet in your house. This is especially true if you train on dirt barefoot as well. Sometimes I choose to train in the woods and take my shoes off. Training on dirt is fun if it is soft. If it is hard make sure to wear shoes. Dirt gives traction and keeps your grounded. If you are in the woods your problem will be that the top of the ground is covered in dry leaves and twigs as well as rocks and tree roots. You can hurt your feet. Also, even if you wear shoes you can slip on the leaves and lose traction. It is best to scrape out the ground you want to train on to uncover the dirt. Now if you go jogging or running through the woods doing kicks then do not worry about it. It is a good practice to run and kick off of trees, and kick on top of dry leaves an practice balance. Also use tree leaves on branches low enough to practice high kicks. Round kicks, spin kicks, axe kicks and more can be done using tree leaves and it gives your mind a target to try and hit. If the branch or bush is strong enough it also keeps you from overextending your knee joint and has some give to it. Kicking the air is not as fun as kicking plants. Kicking plants is actually a smart drill many martial artists use. It works on targeting an precision of the kick instead of just kicking the air. You can also do side kicks and back kicks on trees and work on kicking off of them in the air for fun. If there are many tree roots you could very well hurt yourself by tripping on them or stepping on one and twisting your knee and injuring yourself. I do not recommend training on such surface so be careful if you are in the woods. Not only can you train outside during the day, you can train outside in the late afternoon and evening when it gets darker. You can also just train at night when it is dark completely outside. Night training works on your sense of sight and also ealing with shadows. Kick pads in the dark or during the setting sun. If it gets really hot outside, training as it gets dark will have a cooler temperature. You can also train early in the morning before the sun rises or as it just begins to rise. If you are a morning person this can be fun. I personally would rather train as the sun sets. Feeling the nature around you and the beauty also enhances your experience and gives you energy. Sometimes there are park lights that will allow you to see very well at night. There are a lot of fun drills and activities you can do outside! Of course you can do what I mentioned above, which you should do: actually work out outside. Do fitness stuff as well as shadow boxing and forms etc. But there are plenty of fun Taekwondo drills to do. You can d breathing exercises and enjoy the air outside. Doing things such as Tai Chi or Chi Kung or any kind of breathing meditative exercises for breath control and stretching out muscles and joints is better to do in the fresh morning air than inside a sweaty gym. The ladder is a fun device that you can use to step through and work on various Taekwondo footwork. Taking a ladder made for this purpose outside can be more fun than doing it inside a gym. A ladder can work on any surface such as grass where you can use stakes to keep it in the ground, or just lay it on top of the grass (which is what I always do. I never stake it in). You can simply lay it on cement or blacktop and it does not slide around too much. Straightening it out every so often is no big deal either. Set up cones around a flat area like a yard, grass, or driveway and do pivoting rills, jumping over cones, kicking in lines between cones and more. Make each cone represent a station to do certain combos. Practice foot work and more. You can do box jumps on anything such as a ledge or curb that is tall. You can use a park bench or anything else that is sturdy. You can o box jumps in sets or for a period of time. This is a really good workout for building up leg strength and cardio. This is an obvious one. Jumping rope is easy and you can buy a jump rope very cheap. Just try to jump on a smoother surface than rough cement so the rope will last longer. This is more difficult since not everyone lives around an area that has bars hanging that can hold their weight. Often times people go to a playground, but I have found that the monkey bars and other bars at such places for kids are too low to the ground and you have to bend your knees. This can get annoying. I have found that very tall fences such as the kind that are found in tennis ball courts work well. You can o pull ups. Buy gloves you can use so you d not tear up your hands. It is unnecessary to tear up your skin, it won’t make your arm and back strength better if you do but only waste time making you wait for your skin to heal before you can go full force again. If you do have tough hands and don’t need gloves then ok…that is your choice. You can also use platform stairs by going underneath the stairs and using the cement slabs to hang off of. This also increases finger strength since the stairs are a thicker thing to grab. You can do obvious things like push ups and leg squats outside, but you can also work on your horse stance by carrying heavy objects such as a giant log or rock. Or stack up bricks on your legs and hold them in your hands. Hold stones in each hand or bricks while you stand in horse stance. Also, do jump squats. There are tons of other execises you can do. Once you get enough you like to do you can combine them. The point I am making is that training outside is important, it is also fun, and the weather changes and suffering you can endure will increase your power and strength in ways that only training in a gym and nowhere else cannot give you. It is also calming and soothing to train in nature and experience the sights, sounds, and smells that the outdoors gives. It is God’s blessing and something a warrior should embrace. 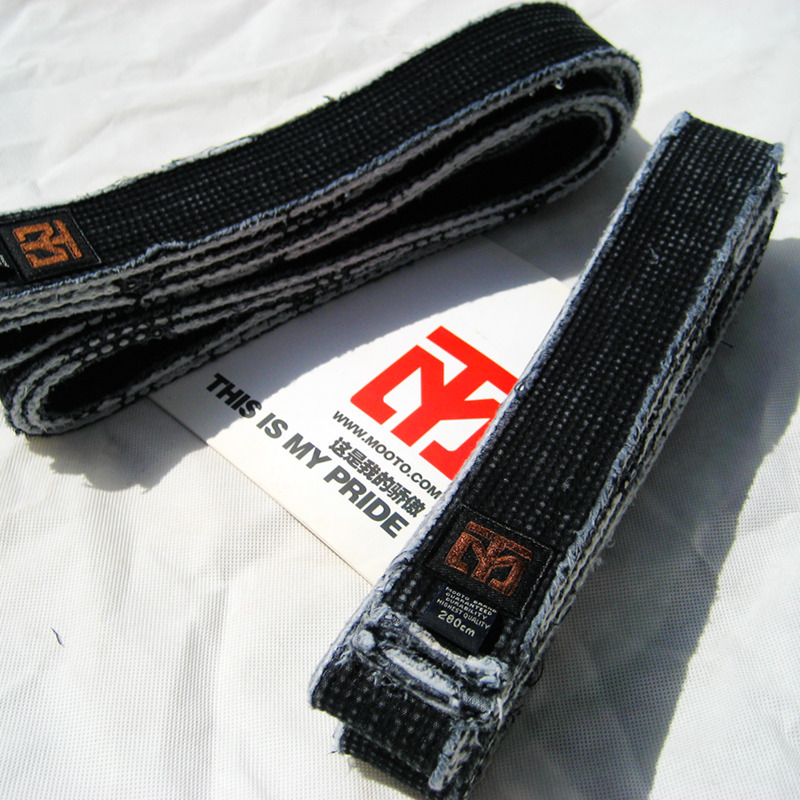 Want To Be An XMA Black Belt? Now days you can get your black belt in dance-gymnastics and playing with toy swords! It’s called earning your XMA black belt. It is so super badass and emotional!! You get to bow even though XMA has nothing to do with Asian culture besides the crazy Asian dude who runs the headquarters! 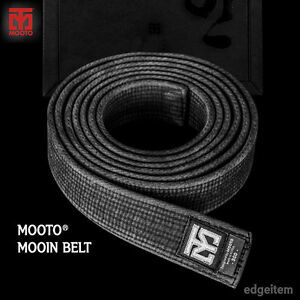 I thought I was cool when I earned by black belt, but now days this is the standard for black belt excellence. Kung Fu is often listed as a martial art that influenced the formation of Taekwondo in Korea. A Modern History of Taekwondo explains that the founding master named Yoon Byung In of the kwan Chang Moo Kwan (AKA YMCA Kwon Bup Bu) lived in Manchuria, China during his early childhood. There he learned the Chinese martial art called Ju An Pa (1999, A Modern History of Taekwondo, p. 7). I could not find any information on what exactly Ju An Pa is, or was, but people often label it Chuan Fa. It is a common thing to read on Wikipedia when looking up information on the early kwans, or when reading Taekwondo websites that have a history page, that something called Chuan Fa was practiced by early kwan leaders or was influential in the forming of Taekwondo. But that term simply means “Chinese martial arts” and has no distinction of a specific Kung Fu style. Apparently, the words Chuan Fa are a Chinese term meaning “law of the fist” (Oriental Outpost, date accessed 2015). So like the term “Kung Fu,” “Chuan Fa” is also an umbrella term for various Chinese martial arts. Much like the word Karate is an umbrella term for Japanese and Okinawan arts. It is explained in a Modern History of Taekwondo that Yoon Byung In trained with Chun Sang Sup (Founder of Choson Yoon Moo Kwon, which became Jidokwan) pretty much all the time. They trained so much together that they were labeled brothers in the martial arts (p. 7). Wikipedia also mentions they traveled to Manchuria together and train in Kung Fu together. This emphasizes that even the Jidokwan (formerly the Choson Yoon Moo Kwon Kong Soo Do Bu) must have dabbled in Kung Fu, or at least Yoon’s “Ju An Pa” influenced them. Wikipedia also states on the Chang Moo Kwan page that a style called Bajiquan influenced Taekwondo. Yet the source they cite cannot be found. A few websites of random Taekwondo school’s with a history page have also listed Bajiquan as a style that influenced Taekwondo. Just simply type “Kung Fu influence on Taekwondo” or “Bajiquan influence of Taekwondo” and you will see pages that claim this. Other sources not worth mentioning will simply list Kung Fu or Chuan Fa as a style that influenced Taekwondo. When I first saw Bajiquan being listed on Wikipedia I instantly went to look for youtube videos on the style to compare it to Taekwondo movements. Later, one blog I found that emphasizes ITF “Taekwon-Do” claims that Bajiquan influenced Chang Moo Kwan, and “probably” influenced the Jidokwan (So Shim Kwan, 2011, date accessed 2015). I have not found any academic sources or other types of “really credible” sources that mention Bajiquan or what kind of Kung Fu influenced Taekwondo, but I think the author of that ITF blog is right. Yet, I hate to actually agree with an ITF person’s view of Taekwondo history, but this part of Taekwondo history does not have to do with General Choi so I think it is acceptable to agree (note the sarcasm). I actually think it is plausible that Bajiquan did influence Taekwondo. It is a fact that Kung Fu (Chuan Fa or “Chinese styles”) influenced Taekwondo, and Yoon Byung In and Chun Sang Sup had access to it (in the form of Ju An Pa) and most likely taught the concepts in their gyms. I think it is possible thatt Ju An Pa must have been a name of a style directly related to, or an off shoot, of Bajiquan. Of course I cannot be sure 100%. There are several systems of Bajiquan created by various masters throughout the ages. This Chinese style also developed in areas within Manchuria where Yoon Byung In grew up. This style most likely developed from Shaolin Temple styles like most Kung Fu did in the North of China. I believe that it is more than likely that Ju An Pa is actually Bajiquan. A possible explanation for a strange name could be that his local instructor wanted to name his teaching something different like many instructors do. As there are many types of Karate with various names, Ju An Pa could be a name for a specific type of Bajiquan that his teacher developed that would label his style a more personal name. If anyone reading this knows what Ju An Pa means in Chinese let me know in the comments. Ju An Pa could also be a style that had influences from carious kinds of Kung Fu styles including Bajiquan techniques. I think that Yoon Byung In had to have been exposed to various kinds of Kung Fu in Manchuria besides the Ju An Pa he was dedicated to. Martial artists often trade techniques such as a kick or punch. The full name of this Chinese martial art (or Chuan Fa method) is Kai Men Baji Quan which means “Open-Gate Eight-Extremities Fist.” If a reader of this blog wants to know what that name means or why there are “8 extremities” I suggest looking up the martial art style and researching it. This article is not about researching Bajiquan, but about movements and concepts within it that I see have influenced certain motions within Taekwondo. I am not saying Taekwondo looks like Bajiquan, but that Taekwondo has subtle motions which are similar techniques and could possibly have the similar applications. I have found some video evidence that supports this. On quick notice it is apparent that Bajiquan looks absolutely nothing like Taekwondo. This is obvious, but the concepts of some of the motions actually do look similar. Bajiquan is a quick, explosive, and very intense form of Kung Fu. Taekwondo is mostly slow and rigid with a step-by-step basis. Yet, some of the Taekwondo poomsae do in fact flow more and are faster when it comes to advanced black belt forms. Some of these forms have motions that look similar to what can be seen in Bajiquan. Before I explain how Bajiquan has similar motions with Taekwondo I will first explain a little about Karate’s influence on Taekwondo. Taekwondo takes another approach to training movements. A slower or more singly-concentrated effort with power for each step. The rhythm is different from Karate and Kung Fu with each step being one at a time. Kung Fu styles can slow up and speed up as they go. Bajiquan shows intense power, slowly winding up then fast bursts of power. Karate often has a step-by-step way of moving one at a time, but there are often parts of their forms which explode in speed with multiple hand motions and faster stepping as well as going off line diagonally. Karate can throw a punch with one step, then take 2-3 fast steps exploding with fast bursts of hand speed with blocks and counter strikes. There are also very slow, flowing, meditative, multiple hand motions in Karate for each step more often than in Taekwondo. This below video is a good example of how Karate uses multiple flowing hand motions within one stance, and also speeds up and slows down and uses various angles of attack and defense. Instead of going in straight lines up, down, left and right, Karate often goes into diagonal lines. So Karate could be going forward, but then go off to the side diagonally to block or attack. Also in the video notice the many slow hand motions and directional changes that are different from Taekwondo. Notice the differences yet its the same kind of motions, just slightly different, but essential the same application. Most of Taekwondo’s motions are variations of Karate motions, but done slightly different. The Pinans were developed from Shotokan and taught by early masters of Taekwondo, most specifically in Tang Soo Do. But various Karate styles incorporate them into their curriculum. Later the Kukkiwon decided to make new forms called the Tae Geuk set which uses short stances mixed in with the standard long stances. If one is lucky he can find an instructor that will teach him both Pal Gwe an Tae Geuk forms. Now back to Bajiquan! Practically every serious martial artist that trains in Taekwondo knows about the historic Japanese and Okinawan Karate roots of Taekwondo. But hardly anyone knows about the Kung Fu roots. People know there was a Kung Fu influence, but no one I know of can explain the exact types of Kung Fu that influenced Taekwondo except for what I read in A Modern History of Taekwondo which said Ju An Pa was a style that was practiced. But understanding the area Yoon Byung In grew up, and the types of martial arts taught in Manchuria, and the ways these styles move, and comparing them to certain Taekwondo forms, it suggests that Bajiquan is possibly a main style that influenced Taekwondo in various motions, and Ju An Pa is probably a type of Bajiquan. I will try to mark where, in the video’s below of Bajiquan, certain motions are possibly influential to Taekwondo. To understand which movements you need only to watch the time limits I list. Notice the straight line movements. It keeps going forward with a lot of power. There are a few Taekwondo high black belt forms that behave in a similar way, all though without the same speed of Kung Fu flair. 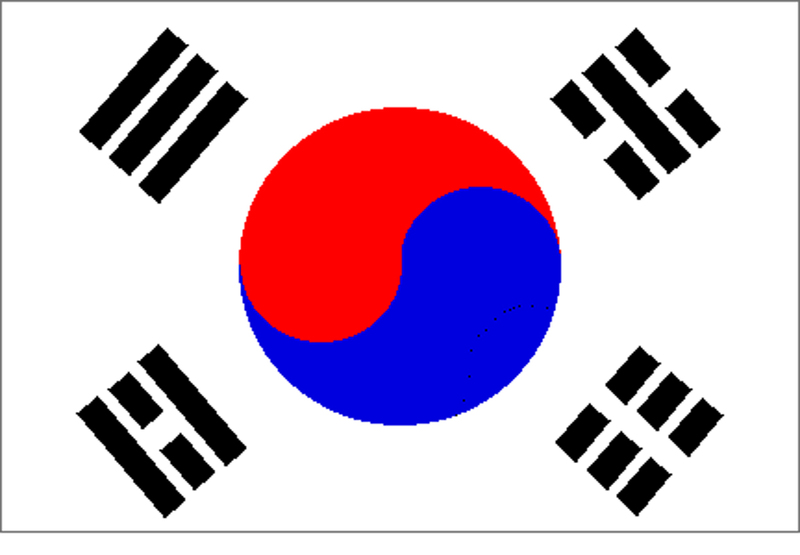 The forms that come to mind are Pyongwon, Sipjin, Jitae, Cheonkwon, and Hansu. Bajiquan apparently is known for elbow strikes. Watch the first video at 0:12-0:14, 1:23-1:25, 0:57-0:59, and 2:41-2:43. Watch the second video at 0:09-0:10, and 2:09-2:11. The Hong Kong TV Show called Kung Fu Quest did an episode on Bajiquan and showed an elbow strike. View the following video from 2:50-2:53. Now watch the Taekwondo form Pyongwon video below from 0:26-0:27, and at 0:38-0:39. Notice the elbow strike? 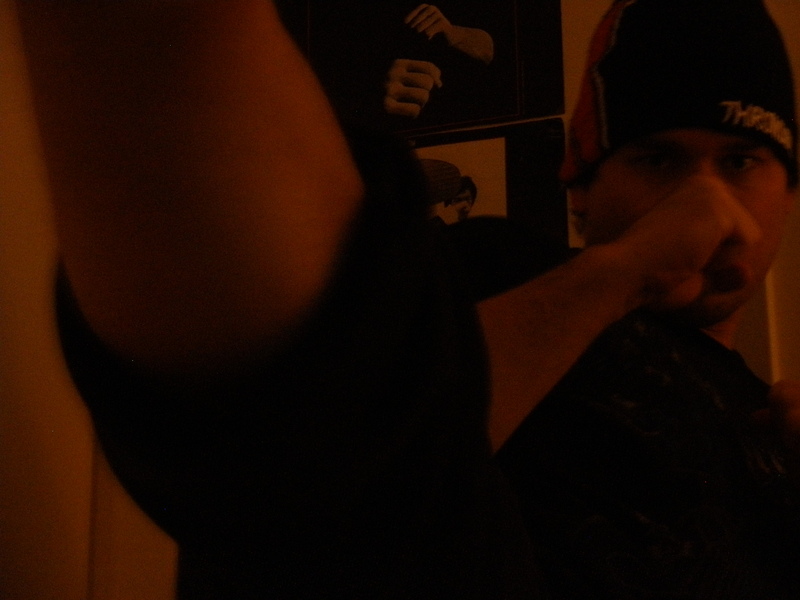 It is a different stance, yet it has the same principle of an upward elbow attack from close range. The Taekwondo stance is opposite leg and arm, and the Bajiquan stance is same arm, same leg. Just like the Bajiquan master on the episode of Kung Fu Quest said, it is an attack they least expect. I know that Karate has upward elbow strikes as well, but this is just one similarity I see with Bajiquan and Taekwondo. The Pyongwong form also happens to be in a straight line much like Bajiquan’s form. In this straight forward motion they use momentum to give power to strikes. Here is an example from the first video. Watch the first Bajiquan video up above at 0:27-0:30, and 1:47-1:54. Now contrast the forward stepping and punches with the move in the Taekwondo form called Sipjin. Watch from 0:27-0:30, and 0:36-0:39. Notice the forward stepping motion with a punch. I believe that is possibly one type of motion Taekwondo took from Bajiquan. It is of course practiced in a slower Taekwondo fashion, but it is nonetheless a forward stepping punch motion into horse stance much like Bajiquan’s. It allows for serious power in the punch going through the target. Notice how the Bajiquan videos have this similar movement. Watch the very first Bajiquan video from 0:49-0:51, and 2:28-2:30. Watch the third Bajiquan video from 0:32-0:34, and 5:27-5:33. Now of course they do it slightly different, and possibly their version are some sort of “hammer fist” strikes out to the side, or they could be blocks as well. The application for the Taekwondo movement of hecho santeul makki is the idea of breaking an attackers elbows who is grabbing you in front. You trap his arms and force your arms upward into his joints and break them. The Bajiquan movement could have similar application as well. Now watch the Bajiquan videos. First view video 1 of the Bajiquan videos above. Watch from 0:14-0:15, 0:47-0:50, 1:24-1:27, and 2:23-2:26. Now watch the second Bajiquan video above from 0:23-0:25, 0:13-0:16, and 1:26-1:29. And finally, watch the third Bajiquan video from 1:51-1:53, 2:33-2:34. 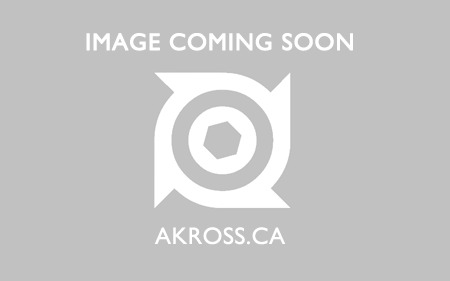 The same motion is apparent. Of course it is done in a fluid Chinese way of moving as well as a different stance, but it is still possible that these motions were part of early kwan martial arts because of Byung In Moon and Chun Sung Sup’s Kung Fu teaching. 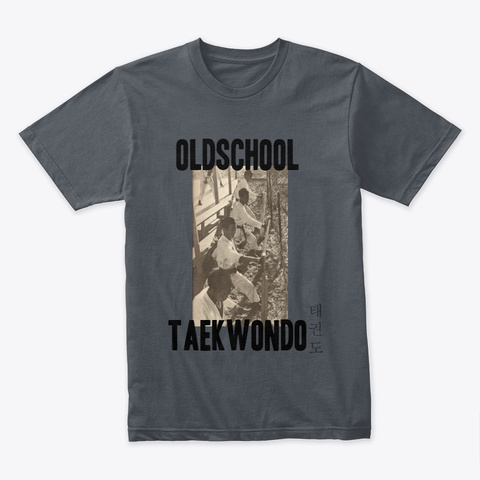 Possibly these movements were common within early Korean Taekwondo and were put inside Pal Gwe Pal Jang, and later reissued into Tae Gaek O Jang. But then, if Karate also has these motions it could have come from Karate. But Karate originally developed from Kung Fu as well. I still think the downward hammer fists with the application of clearing a grab off of your wrist by swinging it underneath the armpit and your opposite hand’s palm clearing your wrist is probably from Kung Fu. There is a motion in Taekwondo where one pulls the fist to the palm of the hand. The only poomsae that has the fist to palm or wrist pulling back motion is Hansu. This motion is called juchumsegi palmok pyojeok chigi or arae pyojeok makki. The first means horse stance, wrist target strike. The second means underneath (or low, or downward), target blocking. You can say it both ways. Watch this video of Hansu from 0:31-0:33, and again from 0:45-0:47. And also watch this last Hansu video from 0:36-0:38, 4:42-4:59. Bajiquan also has this same type of motion, although not identical, it still has the same motion and most likely a similar application. Watch the very first Bajiquan video up above from 0:37-0:39, and from 2:06-2:08. Watch the second Bajiquan video from 1:00-1:02. And watch the third video from 0:19-0:21, 2:10-2:13, and 3:58-4:02. Of course, just as the other movements mentioned in this article, the move is not done exactly the same as the Taekwondo way, yet it is very much similar. It has the same concept. The Bajiquan guys are doing it higher on the wrist and arm, whereas the Taekwondo way is hitting the top of the fist into the palm of the other hand. I know this movement is also apparent in other Chinese martial arts as well. I firmly believe this move did not come from Japanese Karate, but from the Kung Fu roots of Taekwondo whether it be directly from Bajiquan or another style. Like I said before, Yoon Byung In had to have been exposed by various Chinese styles with similar movements. The movement of a high block simultaneous with a high punch to the face is called keumgang apjireugi. This means “diamond high punch,” or “diamond face punch.” An example of this movement is in the forms Jitae, and Cheonkwon. Now if you watched the sequence from 0:59-1:05 you will see the man do the movement 2 times. He does a sequence of movements with a downward double knife hand block, scissor block, the high block and face punch, butteerfly kick, then again the high block to face punch. He does keumgang apjireugi twice. If he was not wearing a Taekwondo uniform and was in regular clothing would you be able to tell that what he did in that sequence was Taekwondo in itself? I think a person could easily assume it was Kung Fu. The form Cheonkwon is full of Kung Fu types of movements. Again go back to the very fist Bajiquan video above in the list and watch from 0:33-0:34, and from 1:57-1:59. Now go to the third Bajiquan video and watch from 1:01-1:04, 1:15-1:17, 3:31-3:37, 3:49-3:51, 4:03-4:05, 4:14-4:17, and 4:30-4:32. The movement is the same as the Taekwondo technique. It is likely that Taekwondo got this move from Bajiquan. Now of course this may have come from Karate, but with the fluid Chinese style movements in Cheonkwon I believe this move came from either Bajiquan or another Kung Fu style. Various styles of Kung Fu have the same movement as well. Even so, reflecting on Yoon Byung In and his Manchurian Kung Fu training I think it is very plausible it came from his Ju An Pa or Bajiquan influence on his training. Now of course there are other movements I could go over, but this article was tedious enough. I could also mention other forms like Tae Geuk Chil Jang with its palm block in tiger stance, and tiger stance and back fist over the arm, and inside crescent kicks to the palm into elbow strike. I could also mention cross stepping from Tae Geuk Pal Jang and the outsie block into elbow strike to punch as well. I could mention the butterfly kick in Cheonkwon too. These movements are all very Kung Fu-like. Especially the butterfly kick. Chinese martial arts are full of the tornado crescent style kick that is called the butterfly kick in Taekwondo. The move here you do a tornado crescent kick into the palm of your hand. Chinese martial arts have always had the inside the foot kicking to palm of the hand as well as the flying spinning tornado-like crescent kicks. Okinawan Karate of course also has small inside crescent kicks as well, but I believe the ones from Taekwondo come from the Kung Fu influence from various Chuan Fa styles, most most likely the Ju An Pa, or Bajiquan styles. I think by the time the poomsae of Taekwondo was being created these Bajiquan techniques were common practice in the early formation of Taekwondo and added in. They not only have a combat application, but they also look really aesthetically pleasing and display athleticism and agility. I think the Chang Moo Kwon and Jidokwan collaborated and had influence on the other kwons. There are many reasons why Taekwondo turned into a slow paced martial art in their forms doing one step at a time. The main reason is because most kwon leaders were Shotokan and Shudokan Karate masters and some were already practicing the Karate style in the form of Tang Soo Do, the Koreanized version of Karate. Both Yoon Byung In an Chun Sang Sup were Karate masters with high black belt levels. Yoon Byung In was so passionate about martial arts he received a 5th degree black belt in Shudokan Karate from Toyama Kanken when he went to Japan to study abroad. He most likely dedicated himself more to Karate than Kung Fu and his Karate influence must have influenced his Kung Fu interpretations of movements. It is said he still taught his students his Chinese martial art style as well. But why Taekwondo is not more Kung “Fooish” than it is, is probably because his Karate mastery became more prevalent in his personal expression as well as the other kwon leaders all studying Karate. Chun Sang Sup of Chosun Yun Moo Kwon Kong Soo Do Bu (Jidokwan) also studied Karate first as well as Judo before he collaborated with Yoon Byung In‘s Kung Fu. Yoon Byung In possibly started to like Karate more than his Chuan Fa as he gained such a high level of expertise in it over the years. Since most of the kwon leaders were Karate masters (iroically excluding General Choi since there is absolutely NO evidence he got above 2nd dan in Karate) as well as studied Judo one can see why the early Korean masters adopted the Japanese gi (uniform) and not other kinds of clothing like you see in Chinese styles. Chinese styles have no belt system, but Japan was so influential on Korean culture they adopted the belt system as well and the same uniform. Only later did they create the v-neck style that we wear today. One can see how Taekwondo is heavily influenced by Karate, yet now after understanding the knowledge about Chuan Fa movement through Bajiquan and what Ju An Pa possibly was one can also see how Taekwondo has a very real Kung Fu influence from China. Taekwondo is a very eclectic martial art. This has given Taekwondo the ability to refine, and adapt techniques over time to make them better. 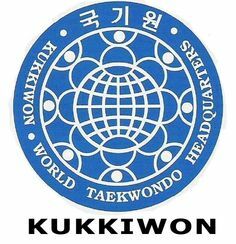 Taekwondo technique is still being refined and researched by the Kukkiwon in Korea today.